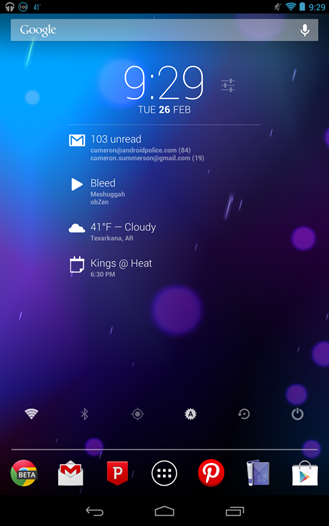 It took almost no time for Roman Nurik's DashClock Widget to explode, and dozens of apps have been adding support for the almost-infinitely customizable widget in the few short weeks that it's been out. 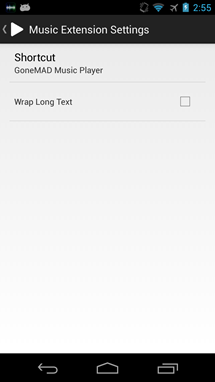 We've already seen additions from apps like Any.DO and PushBullet, as well as a slew of independent extensions. 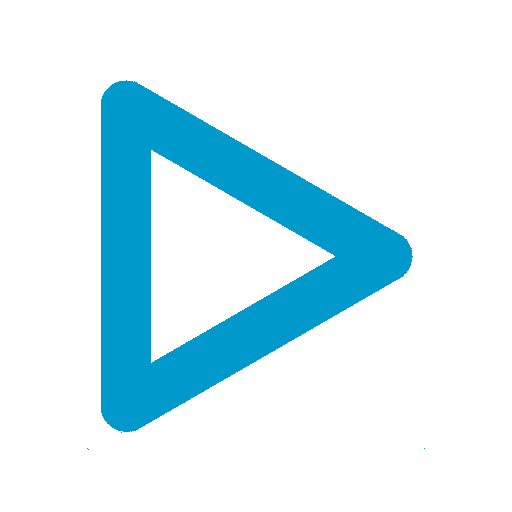 Today's extension from GoneMAD Software – the creator of GoneMAD Music Player – is a simple one, but could be useful for some users. 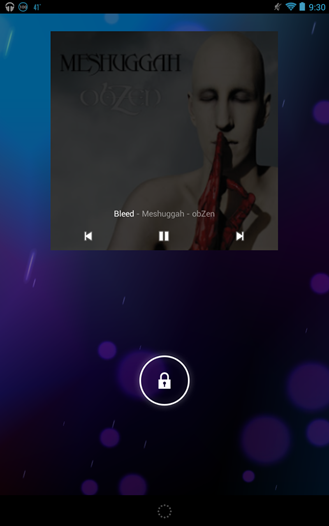 It's called DashClock Music Extension, and it... shows the currently playing music in DashClock. Unfortunately, DashClock itself doesn't yet support integrated buttons, so the extension merely shows the track info and nothing more. It currently works with a variety of media players, including Google Music, GoneMad Music Player (naturally), Android Music Player, PlayerPRO, Neutron, PowerAMP, Rocket Player, Last.FM, n7, Winamp, and doubleTwist, as well as any other player that supports Last.FM scrobbling (this option must be enabled in the respective player's settings menu). It's a cool little extension, but there's also an issue with it. DashClock was originally designed as a lockscreen widget for Android 4.2+. 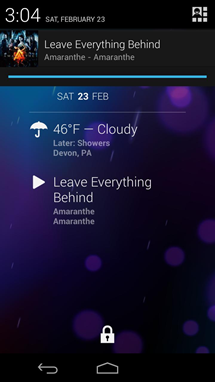 If you've used Android for any amount of time, you know what happens when you start playing music: media controls and track info show up on the lockscreen. 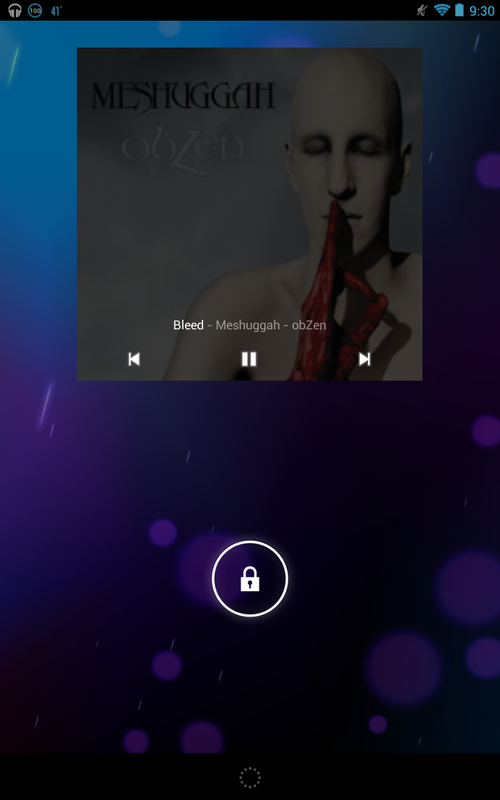 In Android 4.2, these controls override any widgets that may be on said lockscreen, so you can see how this kind of takes away from the usefulness of Music Extension. 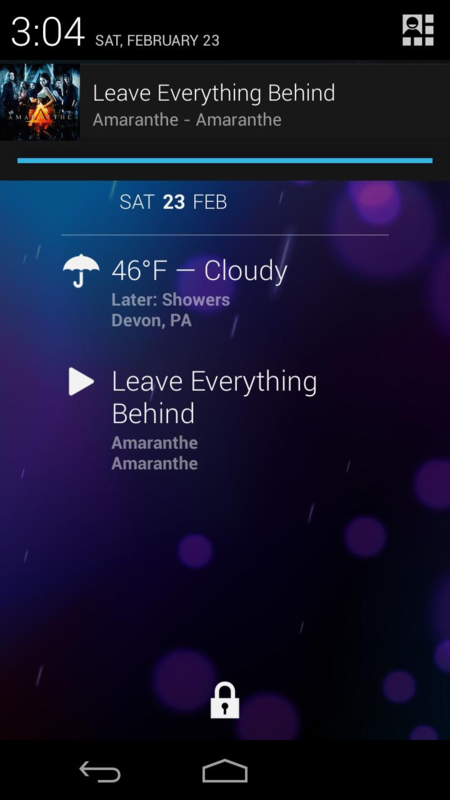 That said, you can still swipe right to access your current lockscreen widgets, but that seems kind of counter-intuitive, especially if you simply want to see the current track. 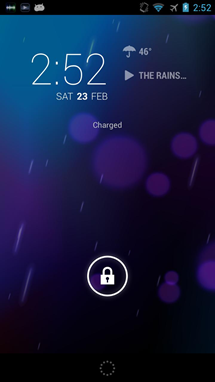 Of course, some apps – like PowerAMP, for example – allow users to disable the lockscreen media controls. If you happen to use that as your primary media player and would rather see the info in DashClock instead of the native widget, then you have a solution. There are probably other players that support this option, as well. If the player you're using doesn't have that option, though, then you're simply out of luck. 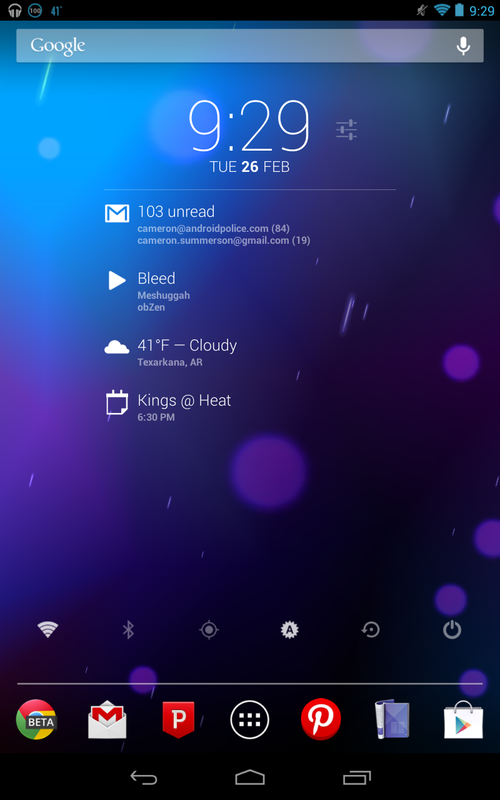 Of course, there's always the option of using DashClock as a homescreen widget, but if you're already on the homescreen you could just have the player's native widget. Don't get me wrong here – I'm not bashing Music Extension. It's a cool idea, and I plan on keeping it installed. I'm simply pointing out the potential flaws in the setup if you want to use it. 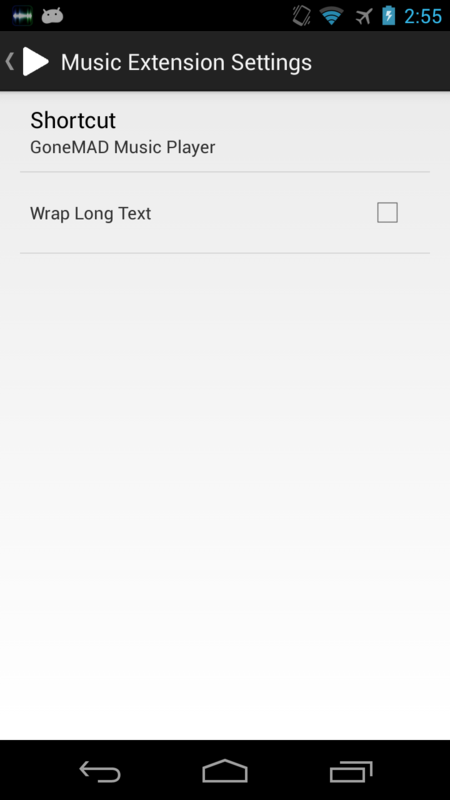 If those don't bother you, or you just want to give it a shot for yourself, it's a free download in the Play Store. Hit the widget to grab it.